On the way to platial analysis: Can geosocial media provide the necessary impetus? The recent availability of user-generated geographic datasets allows gaining novel insights into otherwise hardly observable societal phenomena. Geosocial media forms one important source of user-generated information, which partly describes the everyday lives of people. The analysis of these kinds of data, however, requires new approaches. Geosocial media data—like those extracted from Twitter, Flickr, Instagram, and others—differ from established sources in that they are largely inherently platial in nature. People provide their own subjective opinions or perceptions, and taken together these represent the digital social imagination of places. Crisp and objective geographic data primitives like points, lines or polygons are not necessarily the preferable units for analysing these kinds of information. Platial analysis approaches are thus needed to fully exploit the potential of geosocial media and related data. Yet, while human geographers and social scientists have been theorizing on the concept of place since a long time, and despite of invocations by leading GIScience researchers, we are still lacking a universal theory on the formalization of places and how to make them available to quantitative and other GIS-related analysis strategies. Partly, this lack has been due to the insufficient availability of platial data, but the appearance of geosocial media might change this condition. It is therefore time to rethink our geographical analysis strategies with a focus on “place” instead of “space”. How could existing GIScience theories on space be integrated with the human-geographic and philosophical notion of place? How can we—analogous to points, lines and polygons—derive platial units as counterparts to the established GIS primitives? What are the roles of uncertainty, fuzziness, and subjectivity in a place-based theory of geographical information? In which ways can places be visualized, and how can we do that at multiple scales? How can platial analysis be integrated with applied research agendas from neighbouring disciplines like sociology/regional science, urban planning, or human geography? How to align Tobler’s first law of geography with a platial notion of geospatial analysis? Further topics are welcome if they fit the overall theme of this workshop. Apart from discussing the above topics, it is our particular goal to establish an interdisciplinary dialogue involving geographers, computer scientists, social scientists, and other related scholars. The final version of the workshop proceedings is published! You find the full volume referenced by the DOI: 10.5281/zenodo.1475269. The registration is handled via Eventbrite. Please register your participation here: https://www.eventbrite.co.uk/e/platial18-tickets-46023460409. Please note: For administrative reasons, the tickets offered on Eventbrite are free. Please send an email to platial18@platialscience.net after your registration. The email should contain your name, affiliation and your applicable price category (see pricing below). You will then receive further information regarding your payment, as well as a receipt for your reimbursement. Prices include participation, coffee breaks, lunch and dinner. Conference room, Mathematikon, Im Neuenheimer Feld 205, 69120 Heidelberg, Gemany. 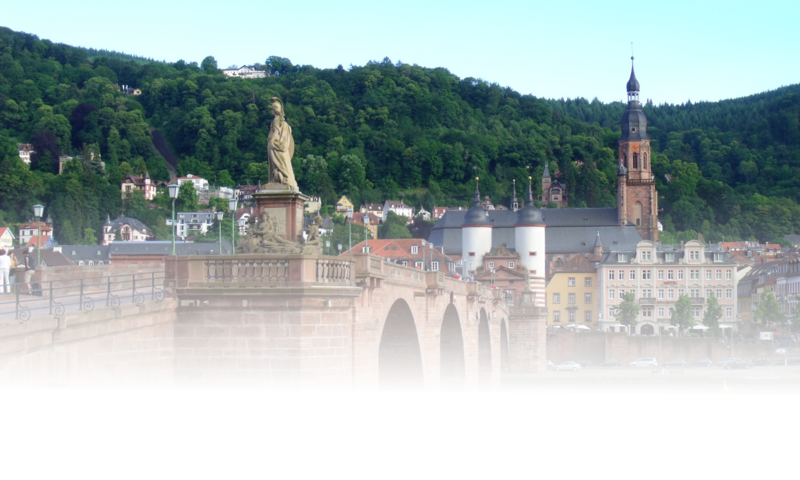 Air travel: Heidelberg is easy to reach from two international airports. Frankfurt airport is one of the major European aviation hubs and just a ~30 minutes train ride away. Stuttgart airport is another option, and also well connected to Heidelberg. Arriving by train: Heidelberg main station is well connected by long-haul and regional trains. Via Mannheim, Heidelberg can be reached from large parts of Germany and the neighbouring countries in 4 hours. From the main station: Tram lines 21 and 24 towards Handschuhsheim Nord or Hans-Thoma-Platz. Leave the tram at the stop Bunsengymnasium. From the old town: Tram line 21 (see above), or bus line 31 (towards Uniklinik Neuenheimer Feld, leave the bus at the stop Bunsengymnasium).